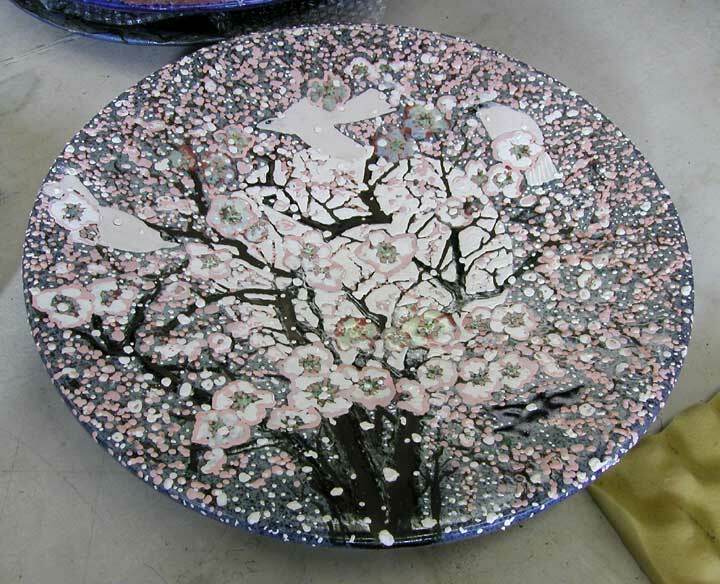 As promised, here is a picture of the cherry blossom plate as it looked as it was being reglazed. This is close to when it was finished. 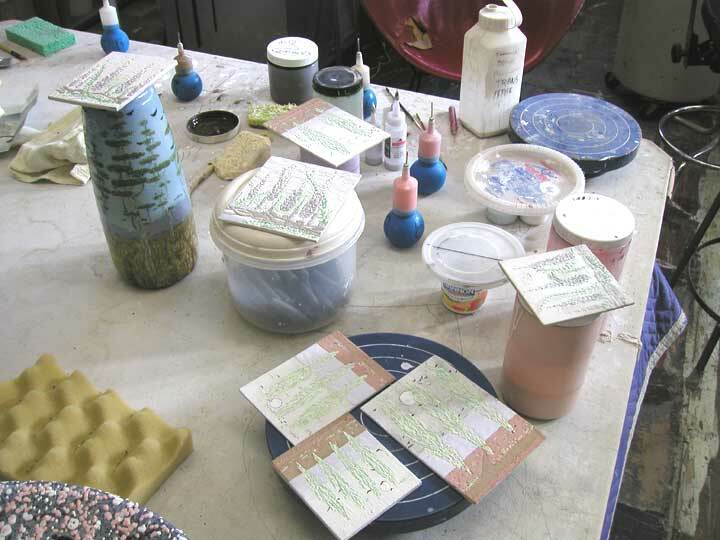 And here is what I like to see when I open the kiln. 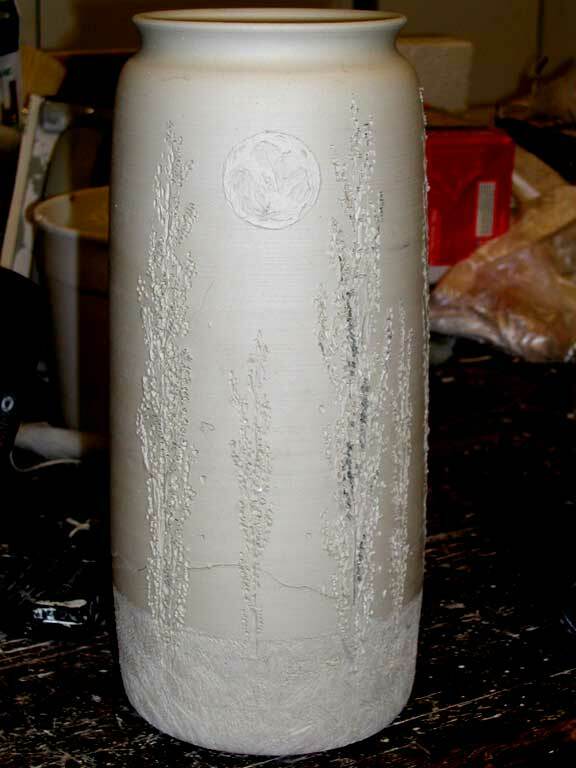 Here is a pic of an older A&C type alium pot that I dragged out to show a visitor that stopped by as he was heading west. This one I am keeping for myself. I had not seen it for a couple of years. My son took this pic of me working real close. 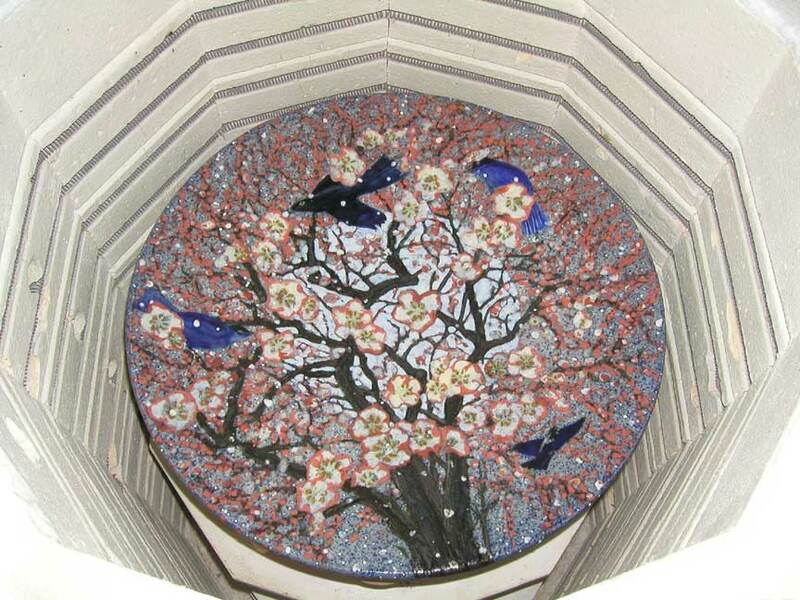 Here is a close up of one of the tiles before it was fired. They turned out OK to some degree, but I don't consider them "saleable." 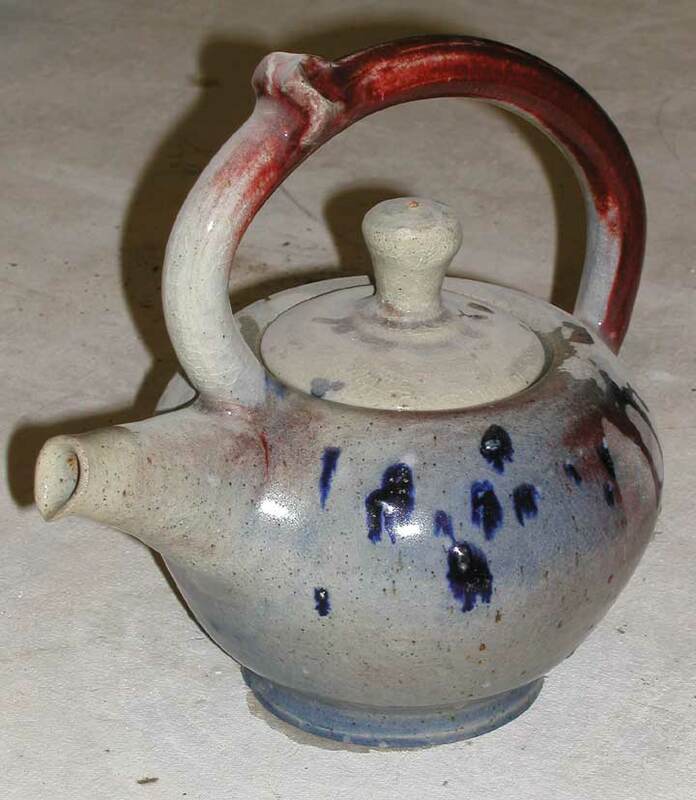 Just for the heck of it, here is a pic of the only tea pot I have ever made. It is dust covered. I dug it out of storage so-to-speak. 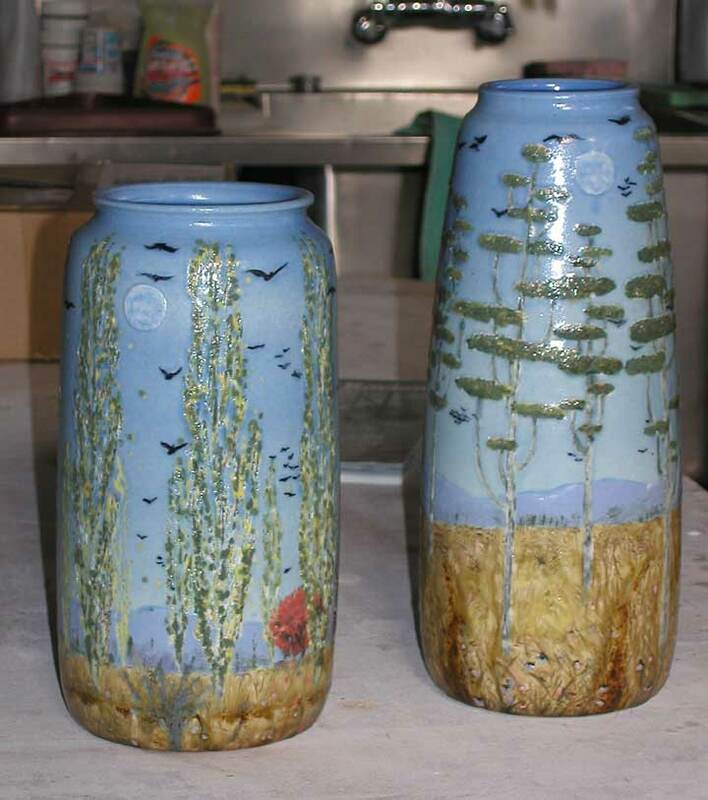 I have been spending the last week on some poplar pots. These are going to be spectacular as I am pulling out all the stops and using every trick I know to embue them with beauty. Here is how the first poplar pot turned out. 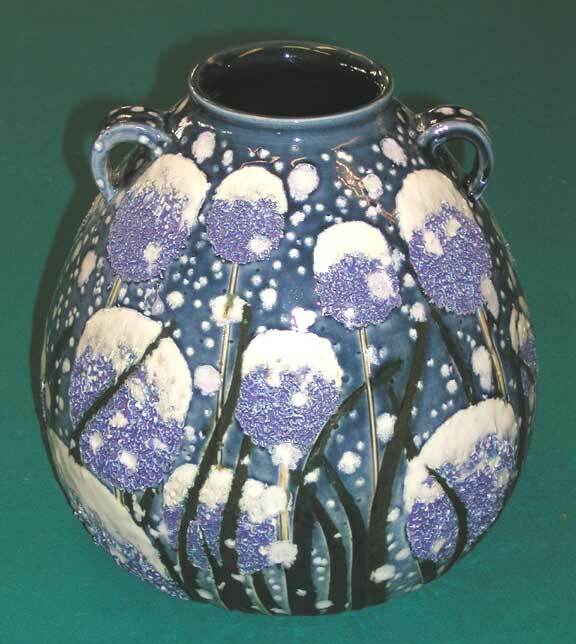 (I would love to hear what Ed Diers would say about pots like these.) It is the first and it is not for sale because I need it around to lead the way for those to follow. It is a killer piece and the next generation will be even better. Patience. Here is something new. 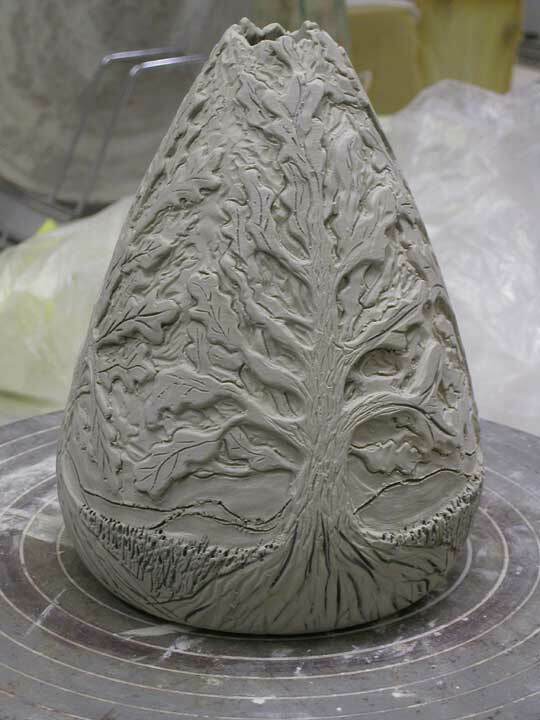 I have always been possessed with images of trees in art. This is just a little test piece. 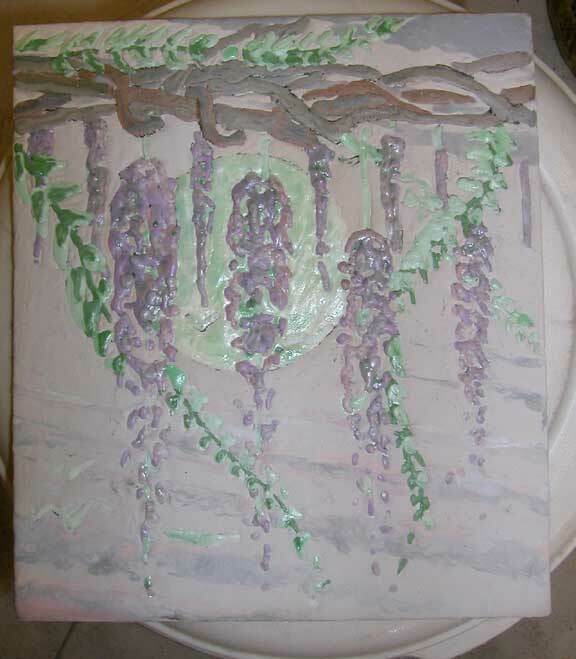 Imagine it with some nice A&C glazes. Ya!